3 ways to save even more money! Nothing helps other homeschool moms more than seeing feedback from another mom. If you have used any Master Books product, please consider posting a review at MasterBooks.com and you will receive reward points towards future purchases. That’s right, you get 100 points per review for your first 50 reviews (Limit 5 reviews per day). You can earn up to $50 towards your next purchase. Even better, if you purchased a subject set with 3 books, you can even put up a review of the set and then each individual book in the set to earn $4.00 towards your next purchase. 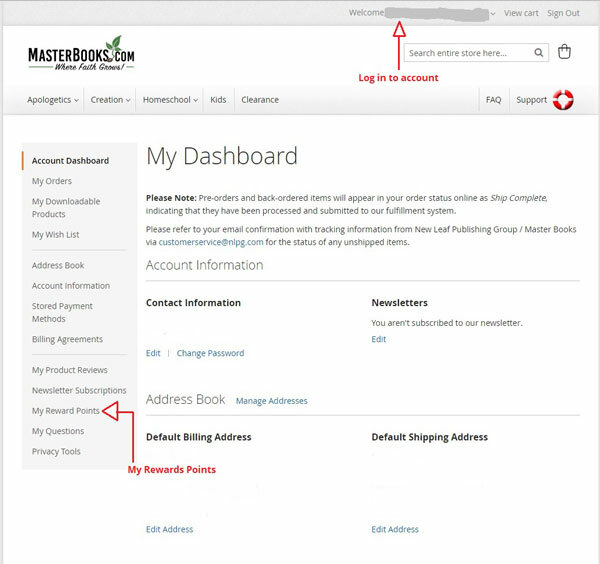 Anytime you are logged into MasterBooks.com and you place an order, we will give you reward points totaling 5% of your order (not including taxes and shipping). For example, if your product total comes to $100, you earn 500 points, or $5.00 towards your next order. 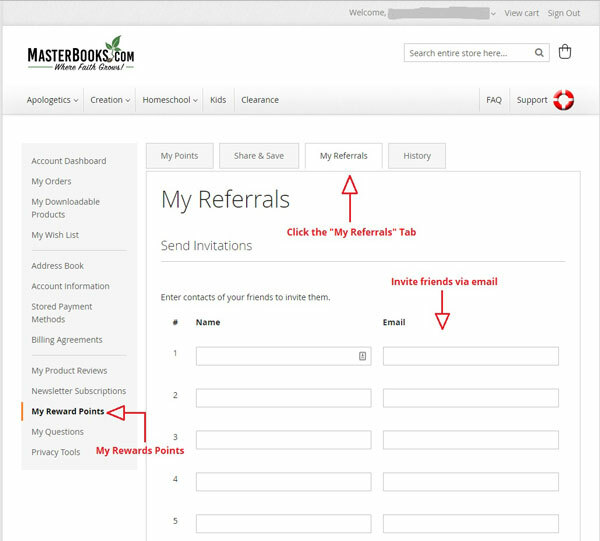 If you refer a friend to MasterBooks.com using your unique link, you earn reward points totaling 10% of their first order and 2% of each order after that. For example, if you refer a friend and they place and order for $100, you earn 1,000 points, or $10 towards your next order and then continue to get reward points for each order they place after that. Once you are logged into your account, at checkout you will see how many points you have accumulated and have the option of using them towards that order. You can also log into your account at any time to view your rewards points. Once logged into your account page, click on “My Referrals” on the upper left hand menu.